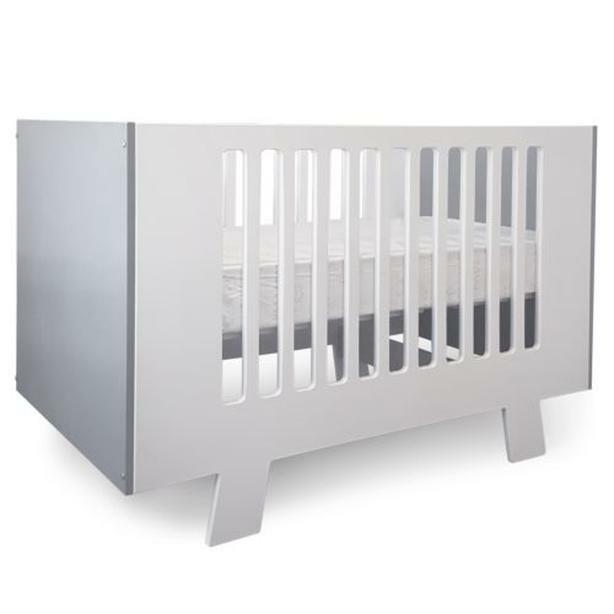 New Giggle crib that easily converts into a toddler bed with the conversion kit available (included). With an exclusive eco-friendly design, it meets the highest industry safety standards and has an adjustable bed base with two height settings. Bought at West Coast kids. Grey and white.